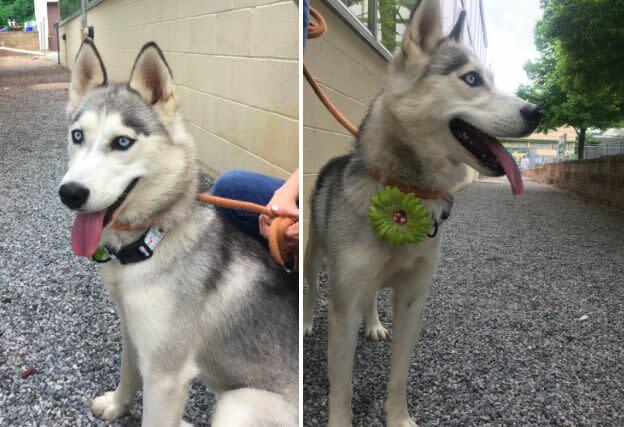 This husky was one of the three dogs found with damaged vocal cords, authorities said. Fifteen dogs were removed from a Pennsylvania property last week after some of them were found with damaged vocal cords from having an object repeatedly forced down their throats, authorities say. The dogs were taken into the custody of the state’s Society for the Prevention of Cruelty to Animals on May 24 after a tip came in from a concerned citizen about an alleged unlicensed breeder in Quarryville,the animal welfare groupsaid. “The manner in which these dogs were devocalized is concerning on many levels, not the least of which is that it is illegal,” Nicole Wilson, the PSPCA’s director of humane law enforcement, said in a statement. Two of the 10 puppies recovered from the alleged unlicensed dealer. The dogs include 10 puppies and five adults. Three of the full-grown dogs have damaged vocal cords. A “pipe-type object” was used to cause the damage, the PSPCA said. The dogs were recovered from an alleged unlicensed breeder in Quarryville, Lancaster County, last week. The Lancaster County District Attorney’s Office confirmed to HuffPost on Thursday that they are working with the state’s SPCA to determine what charges the breeder may face. The breeder is not being publicly identified until charges are filed. The adult dogs removed include three Doberman pinschers, one husky and one pregnant German shepherd. 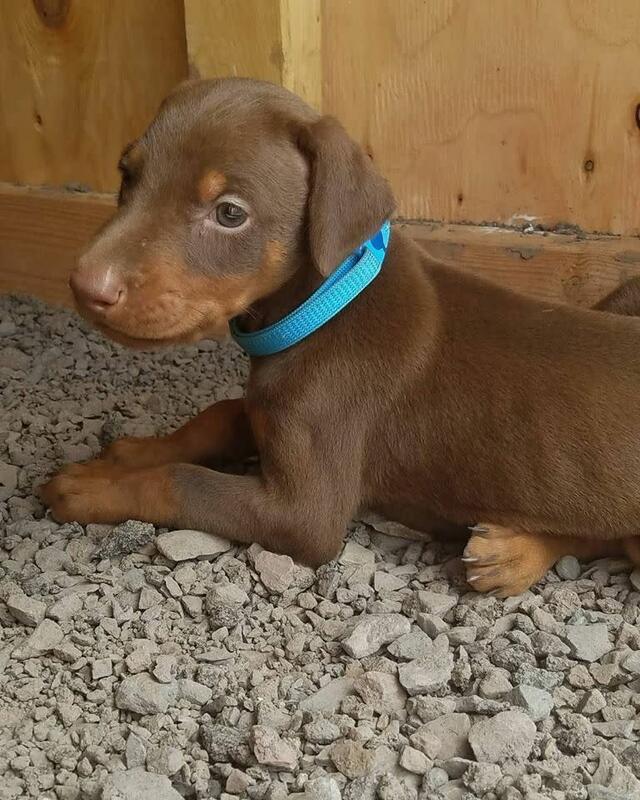 The puppies include seven 4-week-old Dobermans, two 6-week-old Dobermans and one 3-month-old Siberian husky. After receiving medical care, all of the animals will be found homes or given to partner rescues, the PSPCA said. Three of the 15 dogs recovered were found to have been debarked, authorities said.